The following will talk you through how to change the image that is displayed as part of your email signature. 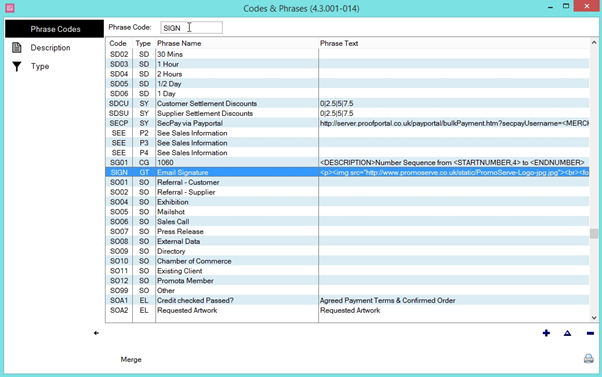 In the Codes & Phrases window, enter ‘SIGN’ into the ‘phrase code’ box at the top of the screen, then hit the TAB key. 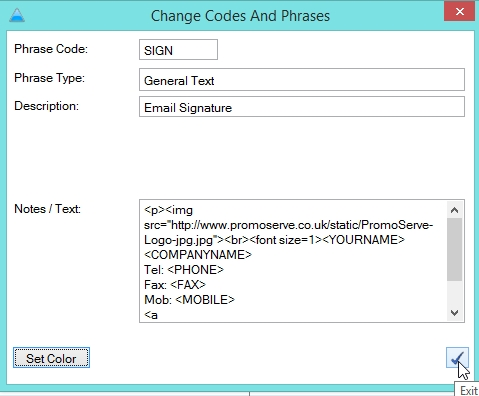 This will select the SIGN code, with a description of ‘Email Signature’. Once this is highlighted, click the blue triangle in the bottom-right of the screen to modify it. The ‘Change Codes & Phrases’ window appears. 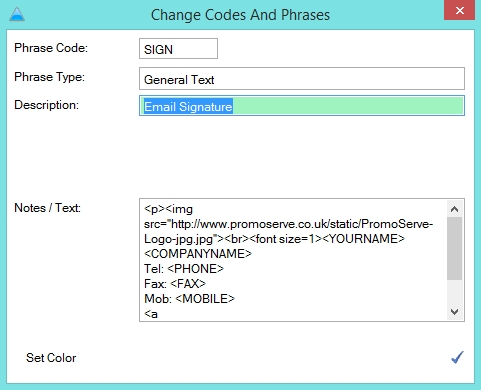 The box labelled ‘Notes / Text’ is where your email signature text is defined. 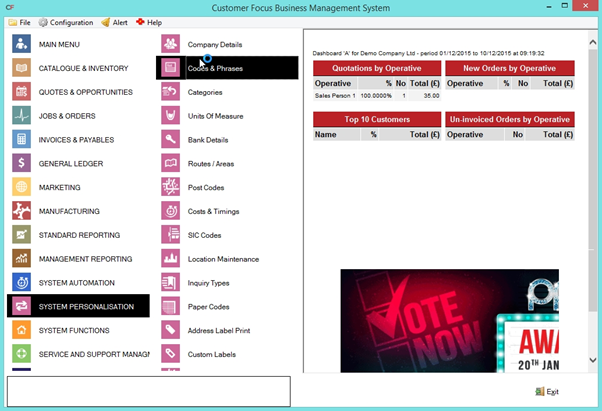 Text in ‘<>’s are HTML calls for the system to pull information relating to that label. Towards the top of this text you should notice an entry resembling <img src=”(url/file path)”>. The URL or file path in this string is the text you need to change. Locate the image you wish to use, and replace the url currently listed with this path. Once you have specified the desired image, click the blue tick in the bottom-right of the window to save your changes. Following this, any emails issued through the system will contain the image you set. 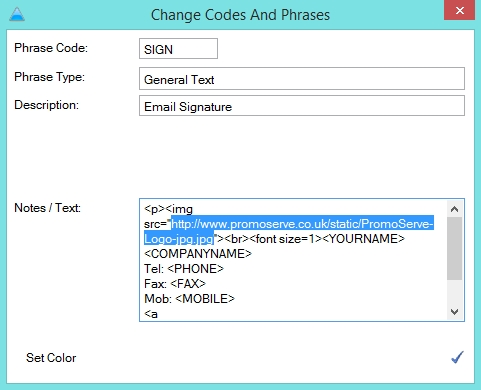 As a footnote, this is the same text box you will modify to change any part of your email signature. A basic understanding of HTML helps with this.